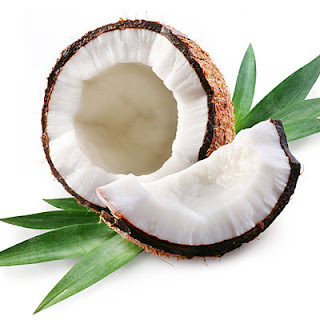 Coconut Oil is one of the best known remedies to combating dandruff. Coconut oil is high in antibacterial, antimicrobial, and antiviral properties because of the lauric acid that is inside the oil. It fights off the culprits of dandruff and promotes healthy, shiny hair. It is anti-fungal and thus is the best natural anti-dandruff treatment on the market. It is used widely in India as a treatment for dandruff, hair loss, brittle hair, dry hair, damaged hair, and shine-less hair. It does wonders for all hair types! A huge fan of coconut oil is the lovely Miranda Kerr. Not only does she love to use it on her strong, luxurious hair but she also uses it all over her salads and green teas as well. Massage a small amount of coconut oil into your scalp and leave it for about 15 minutes. You can also leave it overnight if you wish to. Rinse hair after treatment with a pH balanced shampoo afterwards. Do this 2 to 3 times per week until dandruff is reduced. Once dandruff is gone, use it 1 to 2 times a month to keep hair healthy and maintained. Have you ever tried coconut oil? Tell me your story!